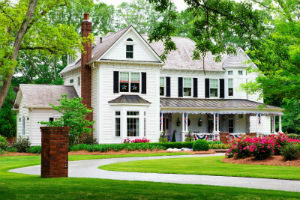 Located just off of Fairview Road, in Simpsonville North Carolina, Neely Farm homes for sale are made up up of its stately single-family homes and wonderful community amenities. This community saw a surge of development in the late 1990's and early 2000's and homes here have an average of 1,500 square feet in living space. Other notable features of these properties include large lots, quiet winding roads to ensure safety and privacy, as well as plenty of well-kept common grounds for residents to enjoy. This is a genuinely friendly place to live! Neely Farm offers North Carolina residents a number of wonderful amenities and fosters a welcoming community. Read more about life as a resident or browse through some of the wonderful Neely Farm listed homes below. As a resident of Neely Farm you will have access to a club house for hosting events, as well as a community pool and tennis courts. Other common areas include a maintained pond, playground, and other lite areas. Inside, Neely Farm houses for sale have a number of highly sought after qualities such as side entry garages, brick fronts, fenced yards with irrigation and much more. Each home offers something a little bit different from the other, but they all share one fabulous location! If you're ready to take the next steps in finding a home for sale in Neely Farm, be sure to contact RE/MAX Moves or call (864) 520-1000. We’d be happy to answer questions, arrange viewings and let you know more about recently listed homes in the area.